After winter break, we came back to school happily. 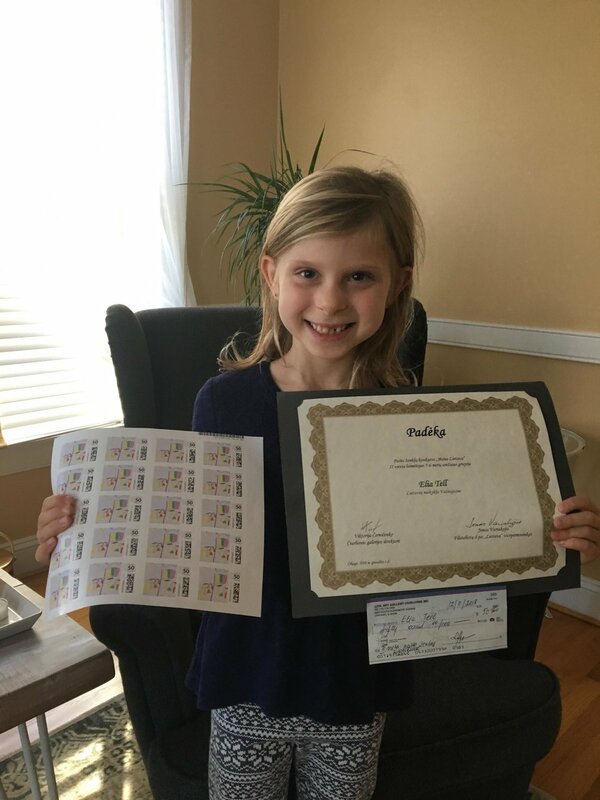 Postal stamp competition winners Elia Teel, Ula Olson and Kristupas Vorobjovas were awarded prizes. 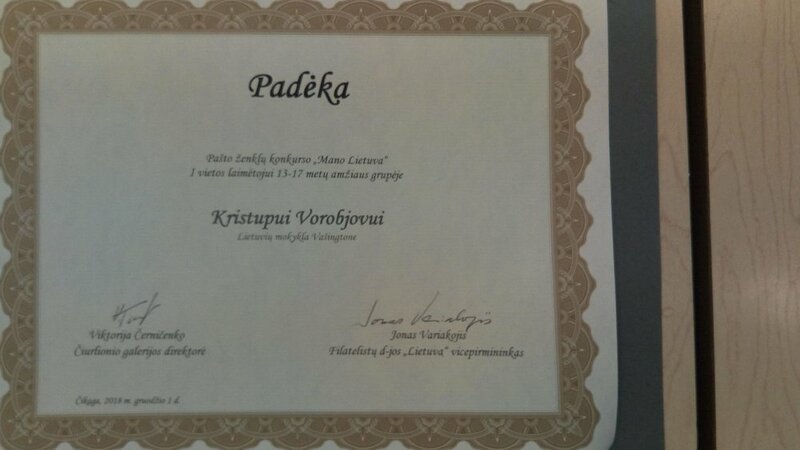 We congratulated the kids who read the most Lithuanian books - Gabija and Viktorija Houck, Vytautas Tadas Kubilius, Jokubas Koubayati, Jonas Marcinskas, and Kamila Lickunaite. They were gifted books - all the more to read! We all went back to work: preparing for tests, reteaching our December lessons, and singing and dancing as it is again a time to prepare for important celebrations.